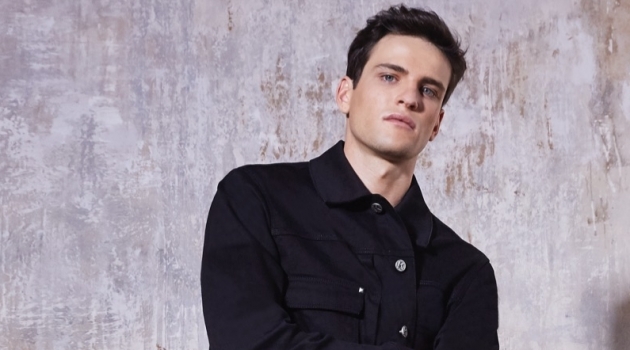 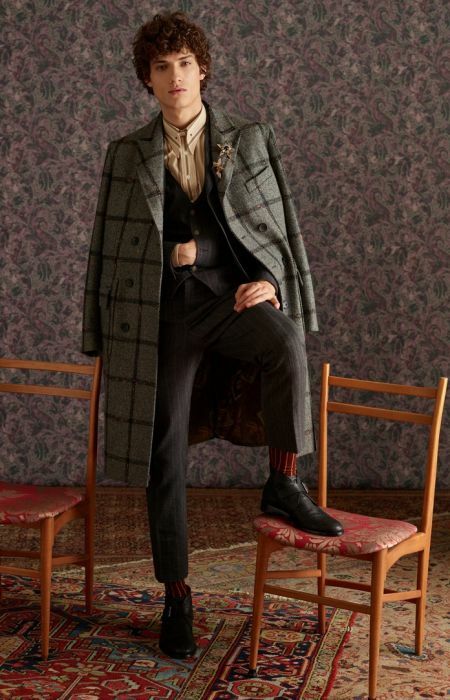 Etro delivers on a dashing collection for fall-winter 2018. 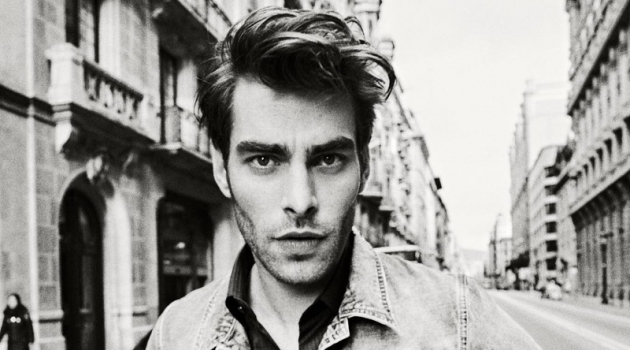 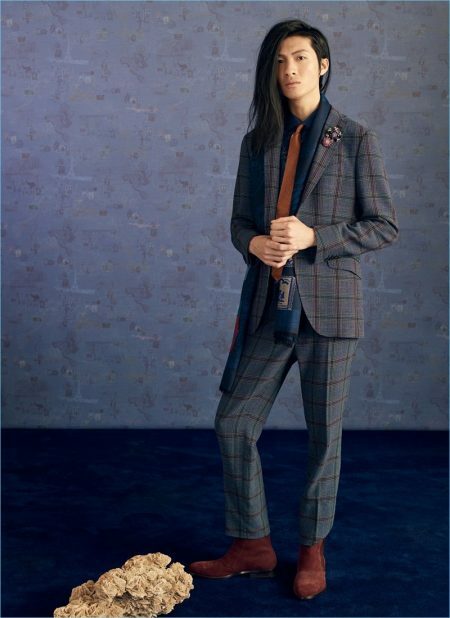 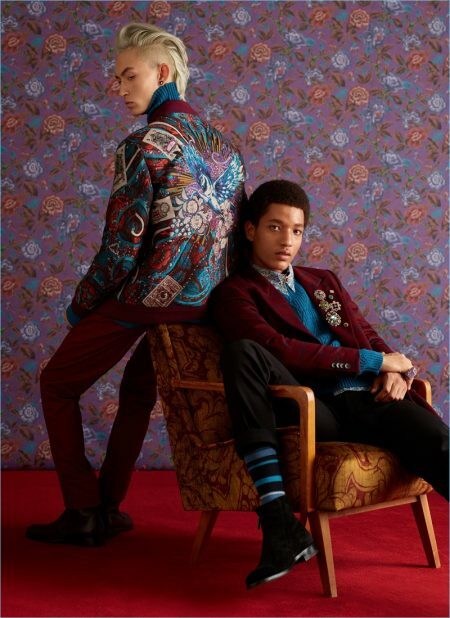 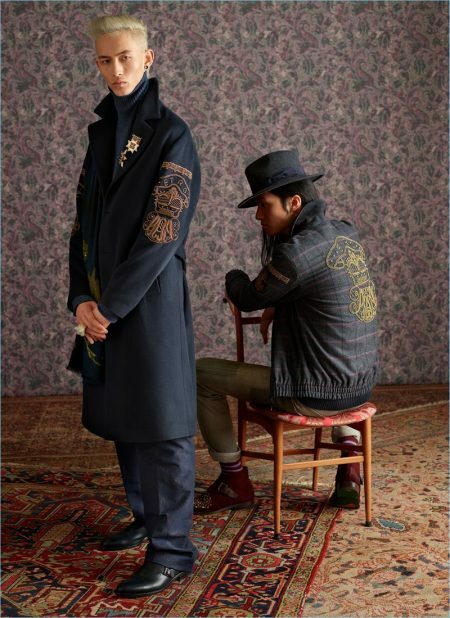 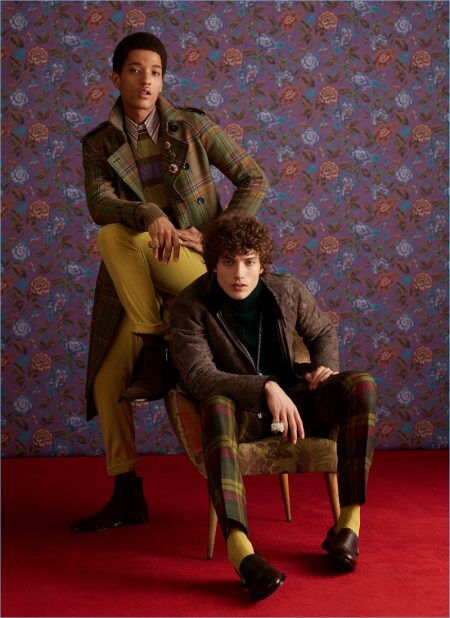 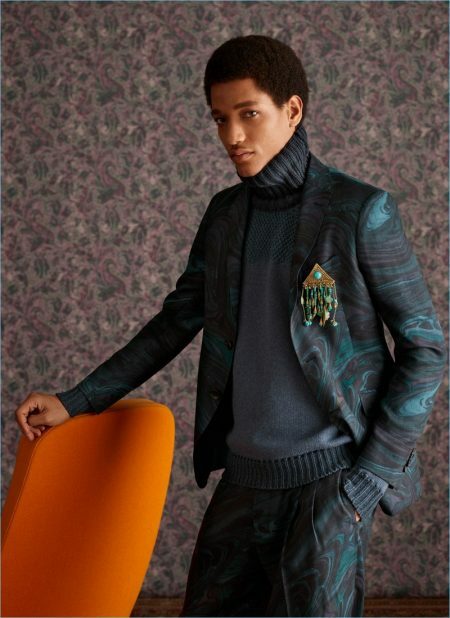 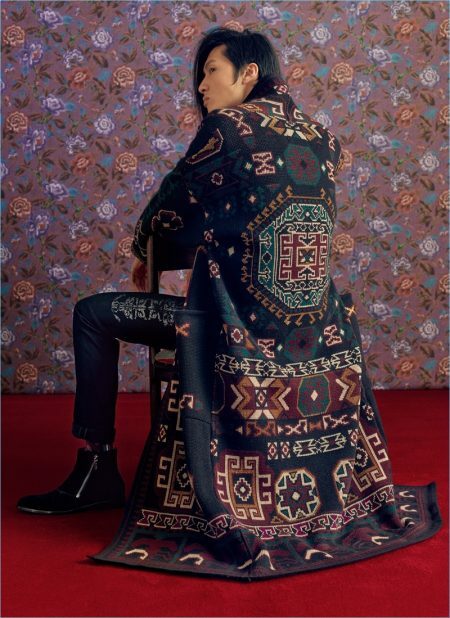 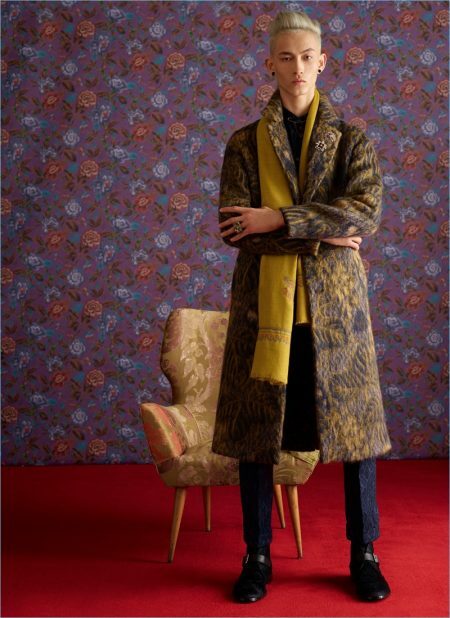 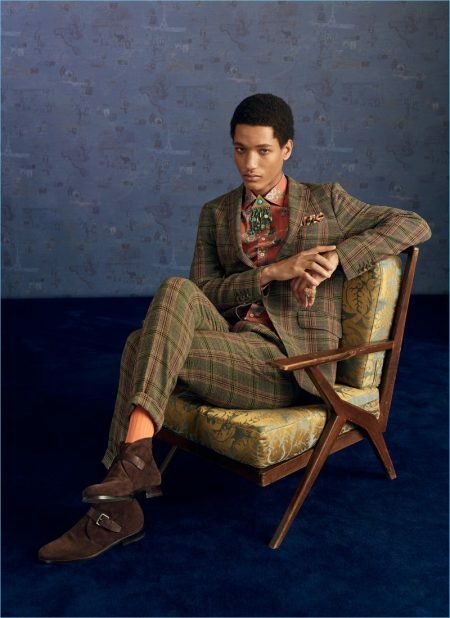 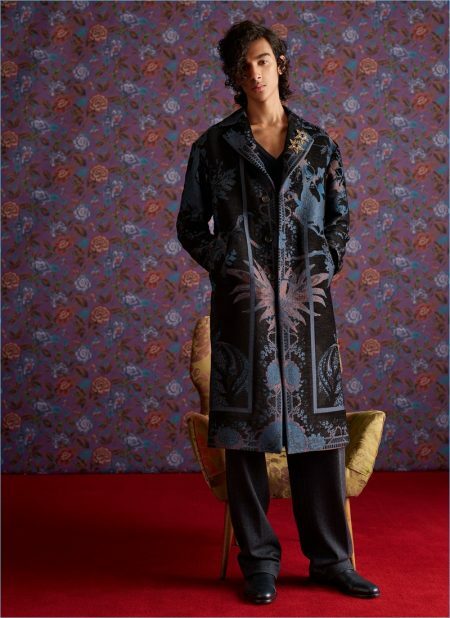 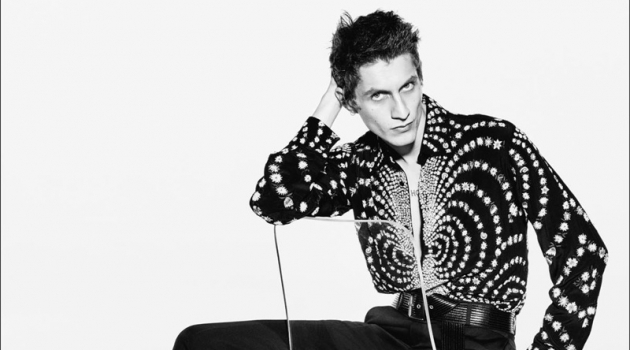 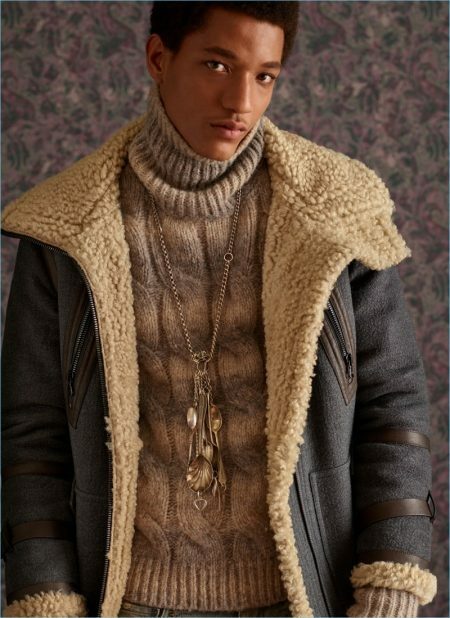 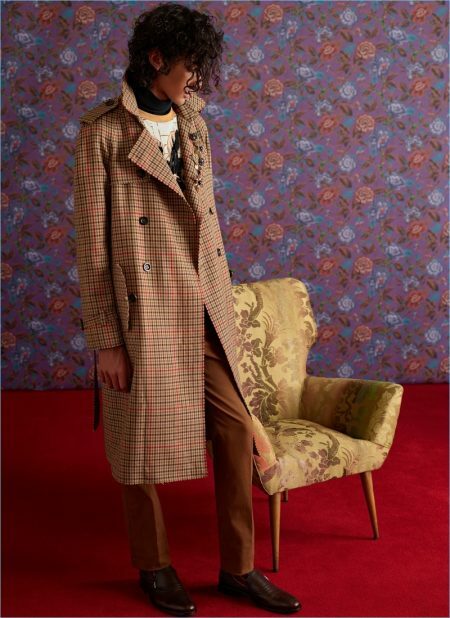 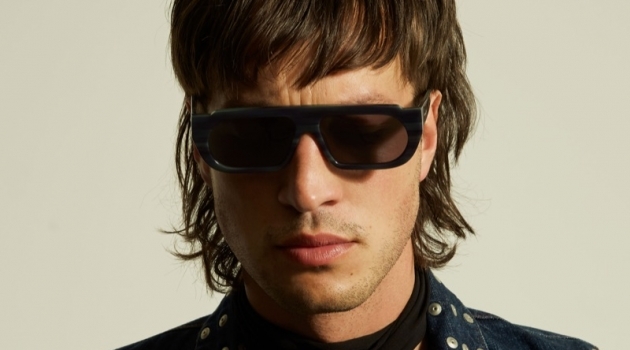 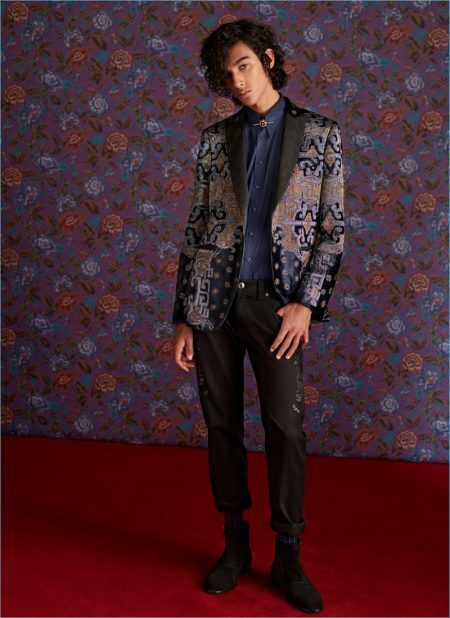 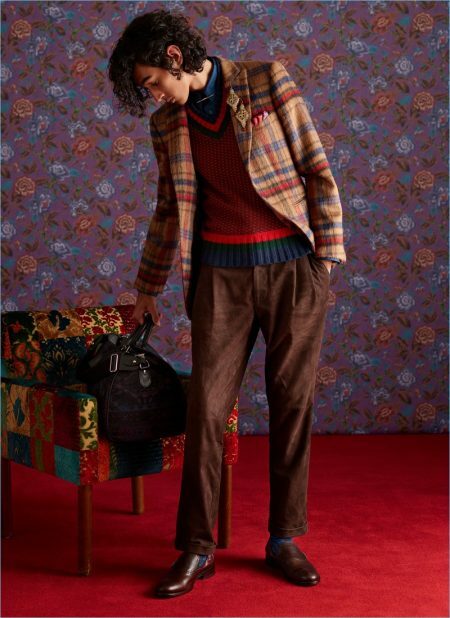 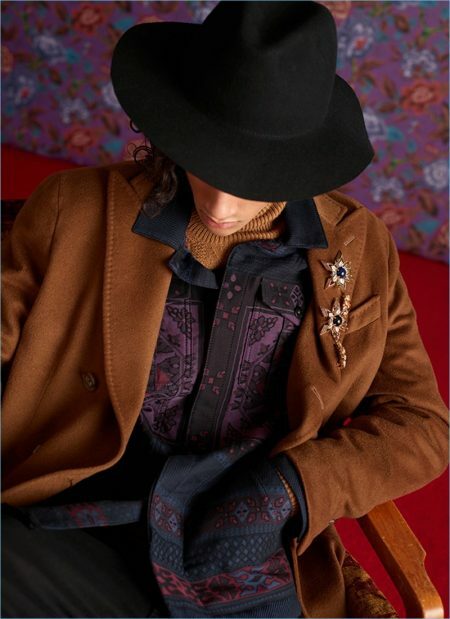 Approaching the season, Kean Etro sets a place for the modern dandy. 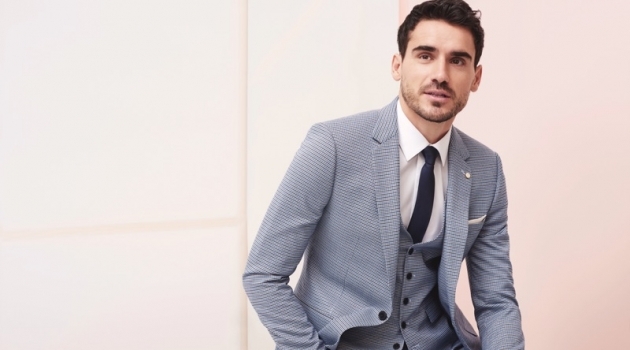 Fine suiting is front and center for the occasion. 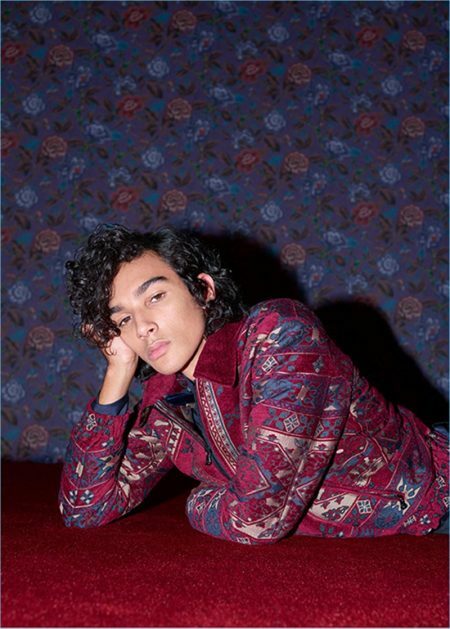 Checks, paisley prints, and more decorate an amazing selection of pieces. 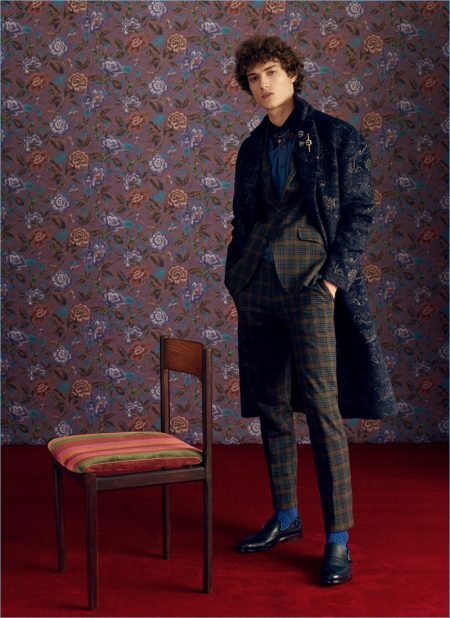 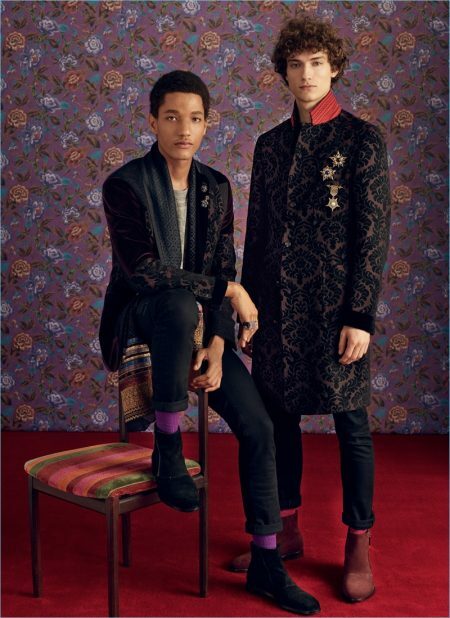 Fixed with broaches and pins, tailored coats make for a regal presentation. 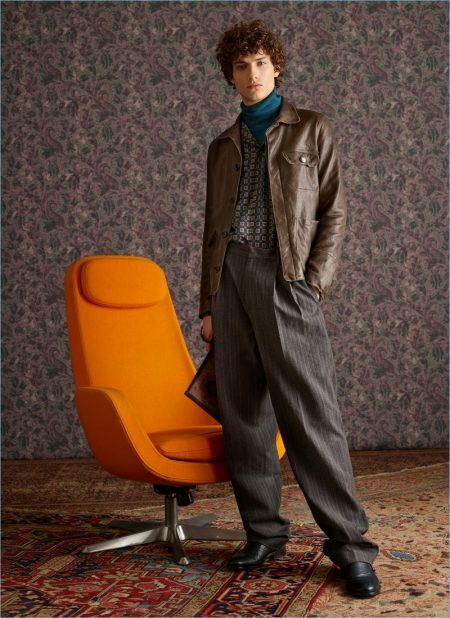 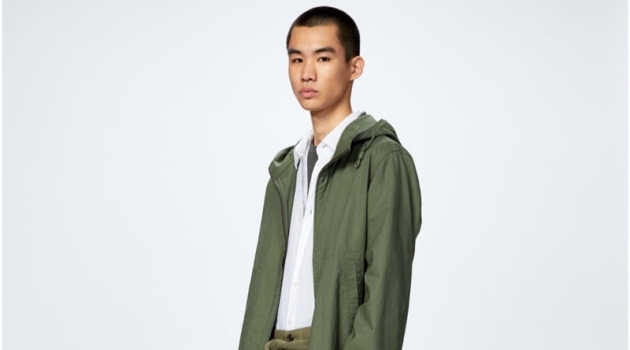 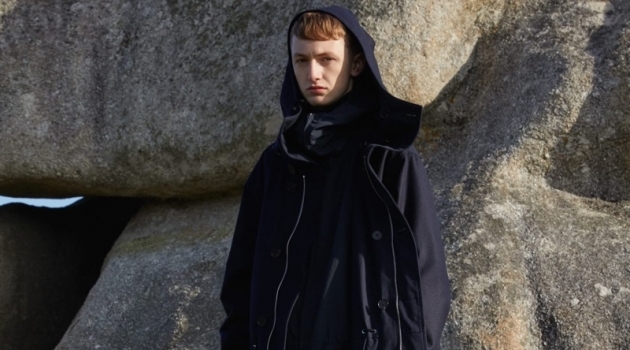 Meanwhile, v-neck sweaters, pleated trousers, and the occasional statement jacket ramp up the collection's wow factor. 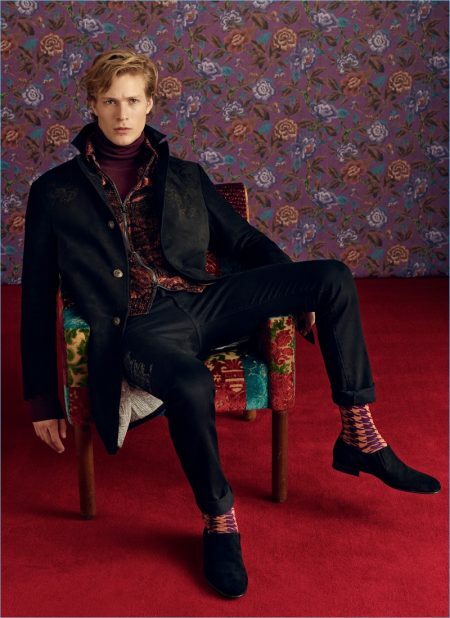 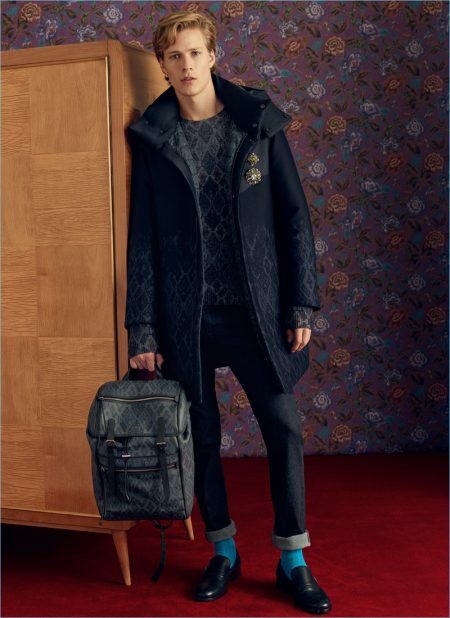 Grounding the selection, Etro champions autumnal hues with rich pops of color.